Adventures with AdamsMom: Episode 4, Just Keep Paddling La La La. 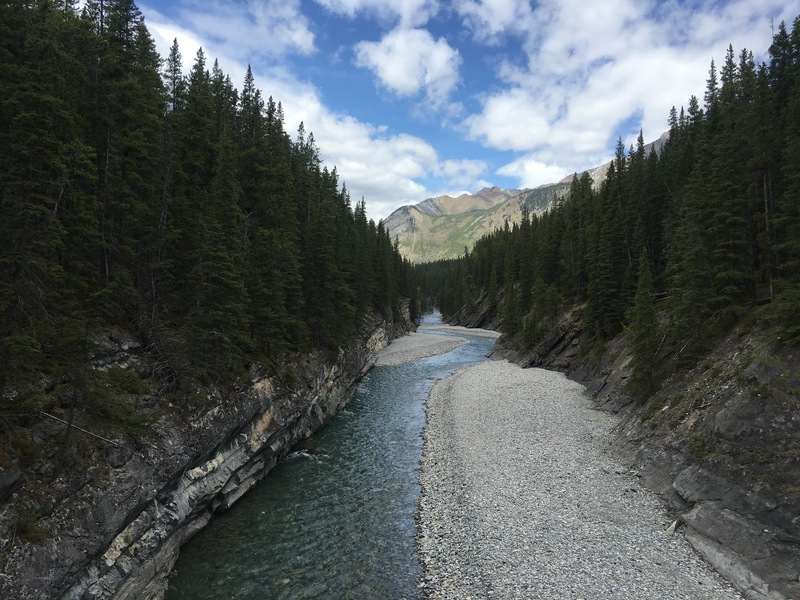 A week in Calgary through the eyes of a Polish Mom. AdamsMom had been visiting us from Mississauga for the past few days. 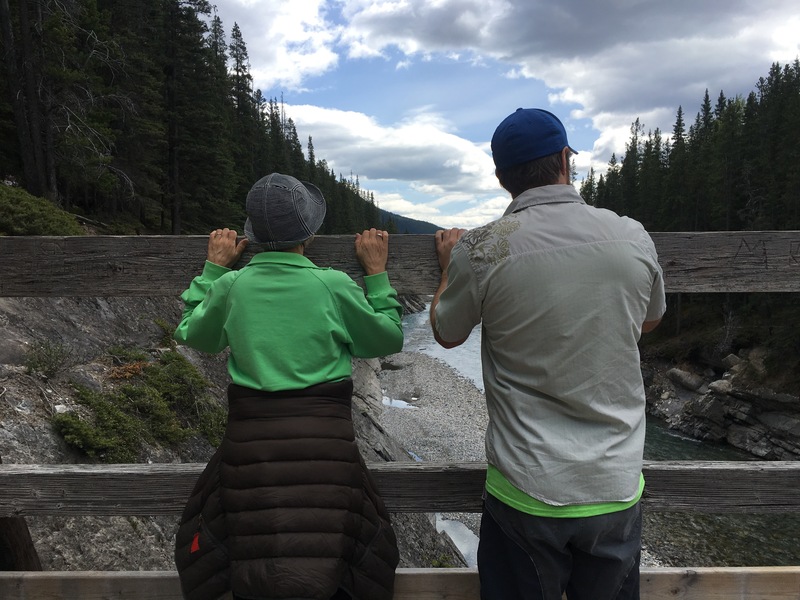 She has never been to the West side of Canada and what better way to entice her to move here than show her our backyard – the Canadian Rockies. 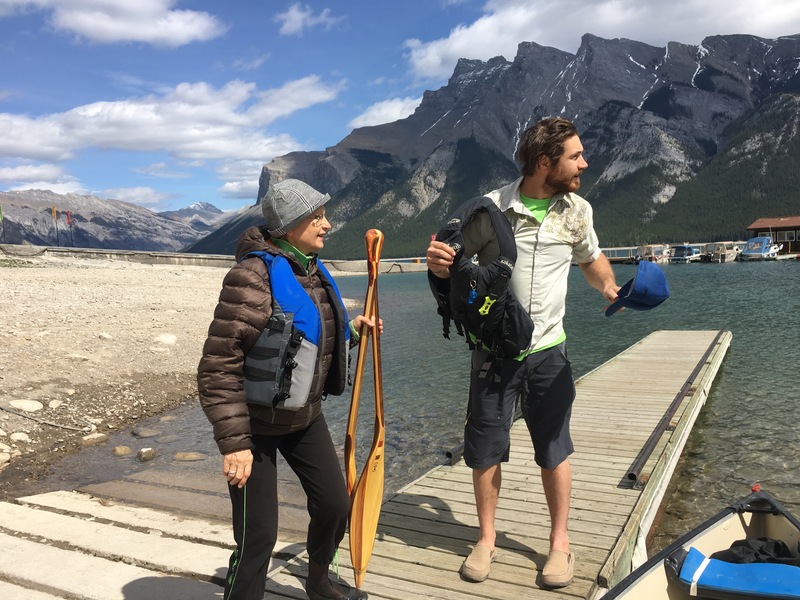 On this particular day we decided to takes AdamsMom paddling out on to Lake Minnewanka because of the ease of accessibility and breathing views. Like the start of most awesome trips, I always begin by making breakfast. By the time everyone is awake, cups of hot tea or coffee are steaming away and breakfast is served. We loaded up our canoe and headed off into the mountains. 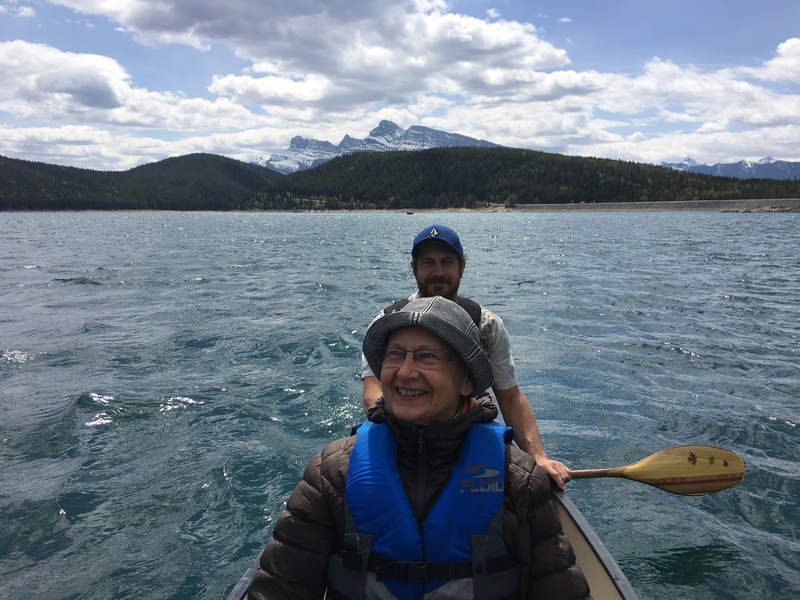 It’s been a long time since AdamsMom sat in a canoe. Decades she says. And for her it was one of the most thrilling experiences being on a glacial mountain lake. One of the neat things about Lake Minnewanka is that it sits on top of an old town that was damned up so it could become a reservoir. It’s actually a very popular location for scuba divers to come visit because of all the building and artifacts that can be seen when diving. We paddled across the lake and towards Black Feather canyon where we disembarked to explore the hiking trail. A river runs through the canyon and within a short distance the walls become increasingly vertical and before you know it you’re staring down into a beautiful chasm with clear blue green waters. This is one of my favourite places. You get a little bit of everything in a short amount of time. Not to mention some really nice climbing. We followed the trail on the right side of the canyon stopping every now and then to admire plants and wildlife. 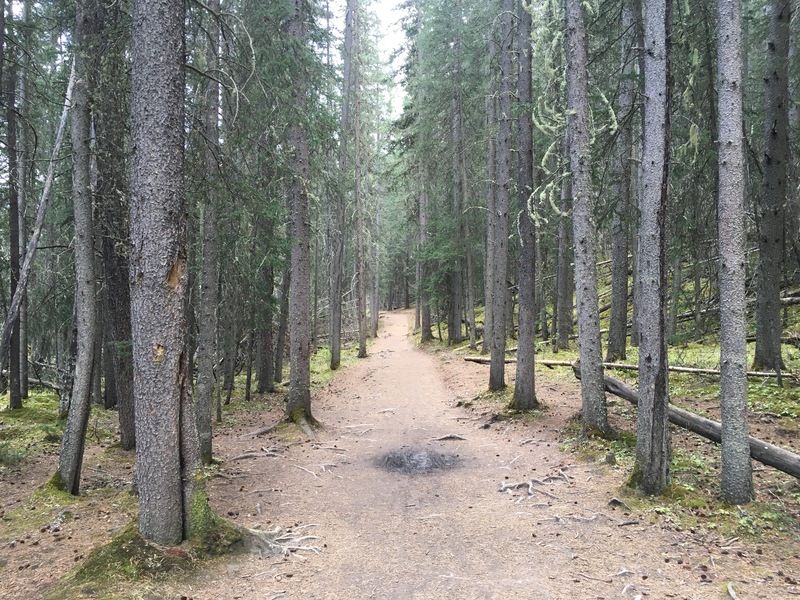 It’s a pretty easy going dirt trail with very little elevation gain. After about a 20 minute hike we turned around and returned to the canoe to break for lunch. A glass of wine, a cup of soup and homemade sandwiches were a perfect way to end a perfect day. 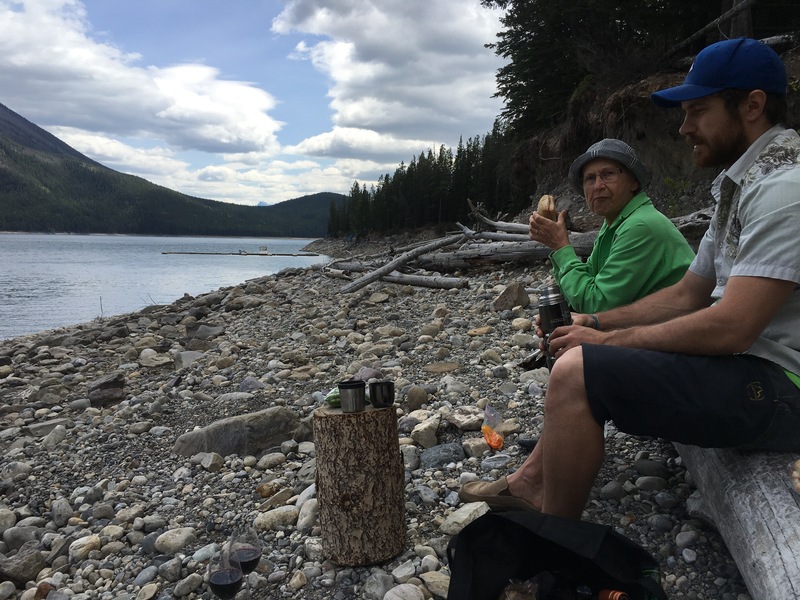 This entry was posted in Adventure stuff and tagged adams mom, canoeing, lake minnewanka, paddling, picnic, polish mom by melbaseto. Bookmark the permalink.